REPORT: Knicks trade Porzingis to the Mavericks for Jordan, Smith Jr. The first blockbuster trade before the trade deadline has dropped. 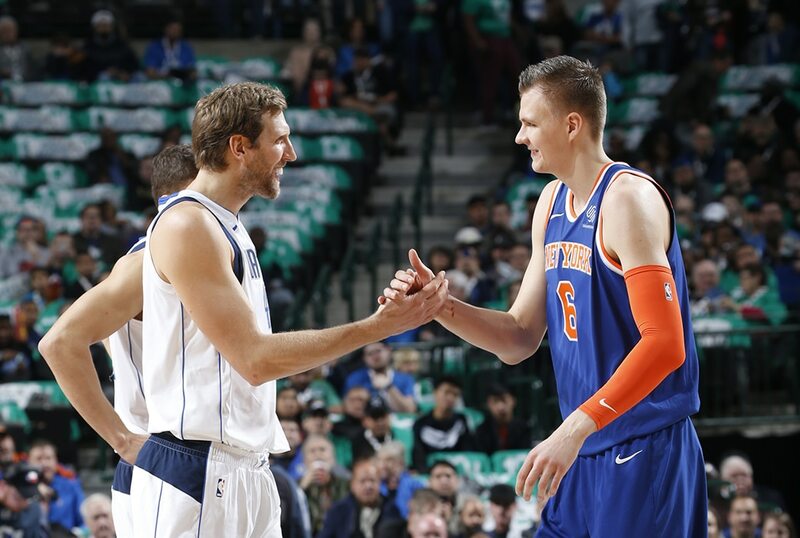 ESPN’s Adrian Wojnarowski reported that the New York Knicks traded their young big man, Kristap Porzingis, Tim Hardaway Jr. and Courtney Lee to the Dallas Mavericks for DeAndre Jordan, Dennis Smith, Jr., Wesley Matthews and future first round picks. This report came hours after the report that Porzingis raised concerns about the direction of the Knicks. This is a huge deal because before he got injured, Porzingis was viewed by many as the franchise player of the Knicks. He’s currently undergoing rehab for an ACL injury he sustained last season. He now joins a Mavericks team that’s going through a resurgence with Luka Doncic leading the way. Porzingis will become a restricted free agent this summer and can sign a one-year qualifying offer. He can then become an unrestricted free agent in 2020. If he stays in Dallas long-term, the Mavericks have their franchise cornerstones. They can move forward in the post Dirk Nowitzki era with Porzingis and Doncic. The Knicks made a huge gamble with this move. Basically Porzingis was the bait for the Mavericks to take on Tim Hardaway Jr.’s $70 million contract. The Knicks continue their rebuild only this time they cleared enough cap space to sign two max free agents this summer. With the rumors of Kevin Durant and Kyrie Irving looking for new teams, the Knicks put themselves in a position to sign both players.